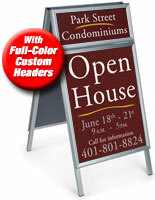 These metal sidewalk displays are ideal for businesses that want to establish an advertising presence outdoors. 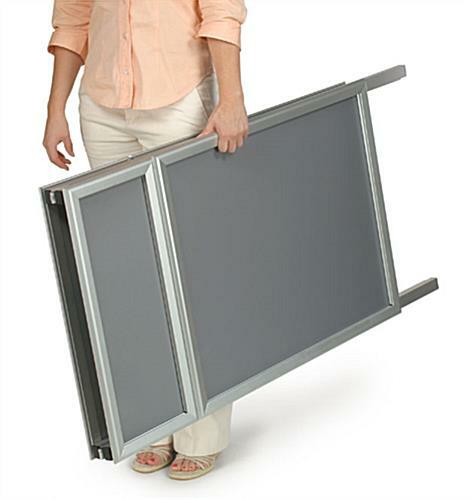 The aluminum frames and headers are portable because they have a folding design that can be easily carried around if needed. 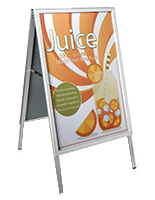 The sidewalk displays with weather-resistant construction are able to be used in light rain with the included PVC lenses that covers graphics. 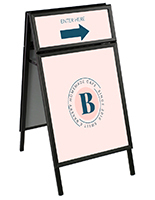 The sandwich boards have two 22” x 28” snap frames with additional 8.5” of header room on each side of the frame for business name placement. 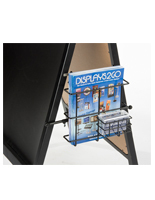 The displays have a silver coloring that helps to draw the eye of customers without taking over the sign stand. 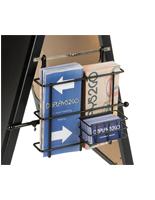 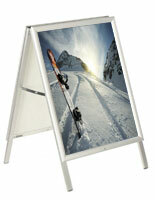 The portable sandwich boards fold down to 3.75” high to make storing the fixtures easy when they aren’t outdoors. 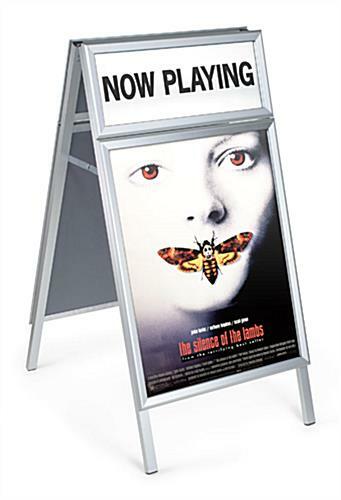 23.4" x 46.1" x 31.5"